Wonderment isn't a word that's really used too often nowadays, but there's still plenty of it to be found - if you know the right places to look. Here's a group of children who got to experience that magical feeling firsthand. While on a guided safari with the Lewa House in Kenya, the eager young explorers were treated to an experience they won't soon forget. 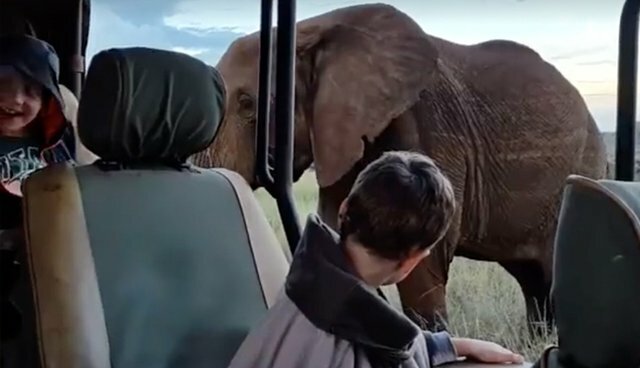 As they sat with bated-breath, a large elephant approached, giving the kids a truly stunning glimpse at the beauty and majesty the wild world has to offer. Their reaction afterward says it all. Of course, not every child will get the chance to go to Africa to see an elephant in his natural habitat (and a trip to the zoo could never compare). Fortunately, there are plenty of other ways to discover the wonders of animals much closer to home.